When you subscribe, get an additional FREE six month gift subscription for a recipient of your choice! There’s no better gift than a whole year of stories. Annual subscription offers for the UK and all over the world! Save 38% – just £36.99 for a 12 month Direct Debit subscription. 6 and 3 month subs also available. Want to subscribe for your school? Click below to pay by card, or to receive an invoice follow this link here. Save up to 38% on the shop price with our kids magazine subscriptions. Why take out a subscription? With a subscription you can look forward to receiving Storytime through your door every month, saving you the time and trouble of going to the shops to buy a copy. If you take advantage of one of our special discount offers, a subscription will also save you money compared to the normal magazine cover price. Don’t forget subscriptions also make a great gift! Once I have taken out a subscription, how will my subscription be confirmed? You will receive an email confirmation of your order within 24 hours. When will the first issue of my subscription be dispatched? After your order has been processed, your welcome letter or email will be sent and this will include details about when your first magazine will be sent to you. The next issue to be dispatched is usually between 4 and 6 weeks. Do I have to sign for my magazine each time it is delivered? No, your magazine will be sent through the normal post. You can renew your subscription online at any time. If you choose not to renew online you will receive notification of the need to renew your subscription in enough time to ensure you don’t miss any issues of your magazine. How do I notify you about a change of address? If you have changed your address during your subscription period you can amend your details online. Simply sign in, or if you do not have an account set up, you can register your details. 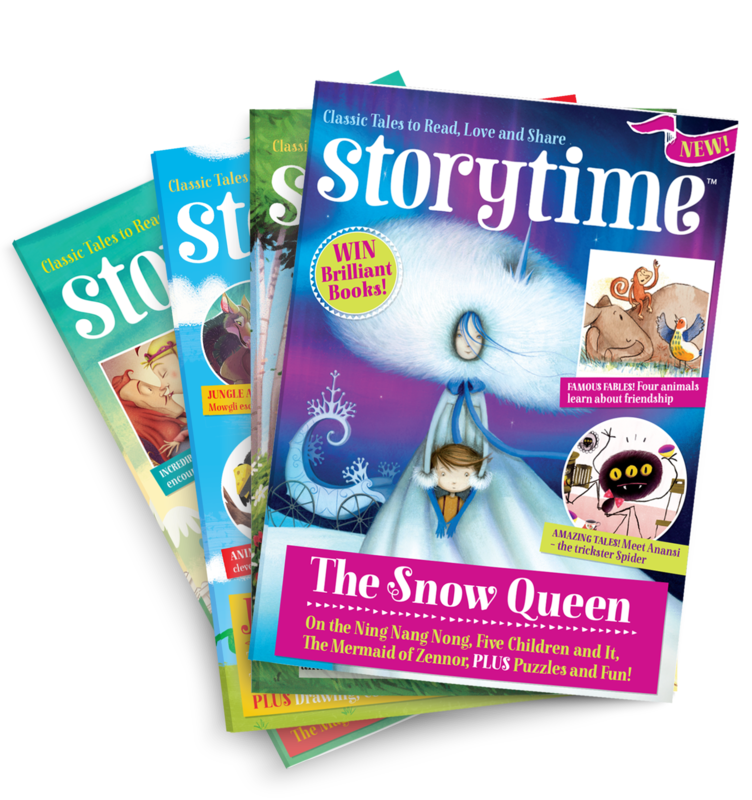 Alternatively, you can send us an email at service@storytimemagazine.com or call us on 0333 212 4589. What do I do if I have not received an issue on time? Your issue should usually be with you around the same time, if not earlier than the magazine goes on sale in the shops, but very rarely postal delays can happen, which are out of our control. Please allow 10 working days and if the issue has still not arrived, email or call our customer service team using the contact details above. Remember to include your subscription number or full mailing address in any communication to us. Yes, you can cancel your subscription at any time, but if you have a recurring payment set up please give us at least 7 days’ notice before the renewal date to give us enough time to stop the payment being processed by your bank. For example, if you had taken out an annual recurring subscription on 15th January 2018, the renewal date would be 15th January 2019, and we would need to receive your notice by 8th January 2019. Please note the start date of your subscription is the date your order was placed, not the date that the first payment was taken. Is the online payment system secure? Yes. We use SSL encryption software to keep the details of your order and credit/debit card information secure. Can I order a subscription for delivery to an address outside the UK? Yes, though as the magazines are posted from the UK, higher delivery costs may apply. These will be displayed in the price summary once you have selected your delivery address. These prices will be inclusive of delivery costs and taxes (where applicable). If you have a question which has not been answered here, please email our customer services team at service@storytimemagazine.com or you can call us on 0333 212 4589.